Southern Cameroonian expats marching in support of the Ambazonian cause. Photo Credit: Lambisc, Wikipedia Commons. Emmanuel Freudenthal is the first journalist to spend time with an anglophone armed group, trekking for a week with them in the sun and rain, across rivers and up steep hills, through dark rainforests and fields of giant grass. 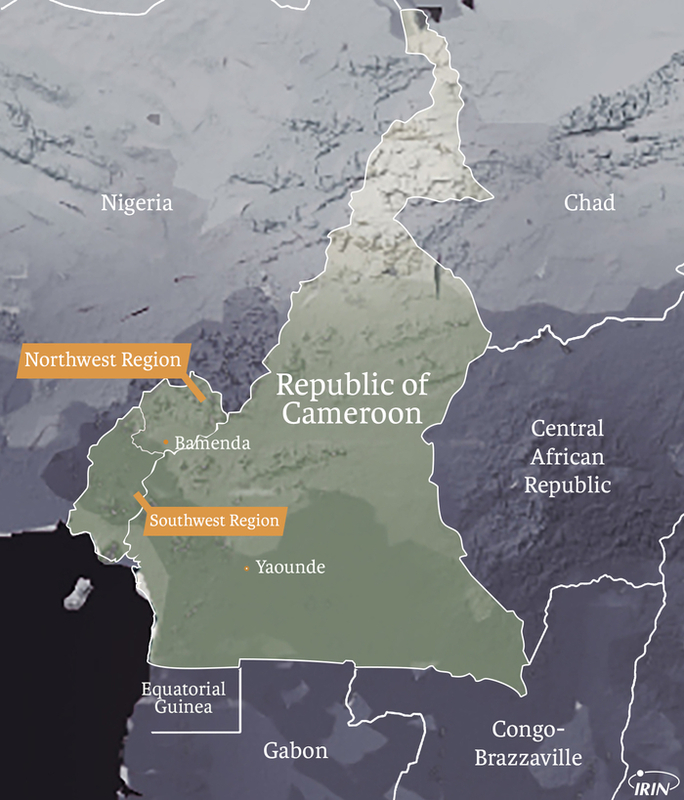 In this article he explores the make-up and motivation of the Ambazonia Defense Forces, and how the civil war brewing in Cameroon is changing the lives of fighters, civilians, and refugees. In a report published, Amnesty International says separatists have killed at least 44 security forces and attacked 42 schools since February 2017. Some of the attacks on schools were attributed to the Ambazonia Defense Forces by the local population, but Amnesty could not establish that link and a spokesman for the ADF denied the group’s involvement. Amnesty also reported allegations that more than 30 people have been arbitrarily killed by security forces, including a high-profile attack on the village of Dadi in December 2017 in which at least 23 people, including minors, were arrested and then severely tortured. This article was published by IRIN in a two part series, which can be found here and here.